Green MotorSport is preparing to launch its new drive train so that people can afford to have their own electric vehicles powered by energy from the sun or the wind. After 12 years of development and many years of thorough testing, including driving over some of the most difficult terrain in Europe, we are ready to evaluate our new cost effective motor technologies in a pre-production prototype in conjunction with several niche vehicle manufacturers. Battery electric vehicles are at least twice as efficient as internal combustion engine cars and we are working with suppliers of local renewable energy systems so that emissions of carbon dioxide and other pollutants can be virtually eliminated. Above shows the new GMS 2 speed electric drivetrain suitable for a range of small vehicles. It uses the new Cost Effective Motor ( C.E.M ) previously demonstrated in the WAVE rally in the buggy called the Tapir. The drive train has been advanced to incorporate a 2 speed gear change to increase hill climbing abilities and increase the top speed for highway driving. Performance testing of the new drive system will commence at the beginning of 2016 with Keith Ashford who has currently fitted the drive train into a small car called a Kewet. The Kewet was an existing production electric car that worked with a DC motor. 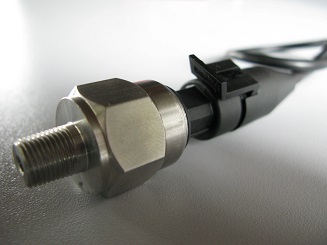 However, using the GMS CEM motor improves the reliability and reduces the weight so we expect improved performance. The vehicle has been fitted out with 48V 400 Ah lithium batteries for long range performance trials. 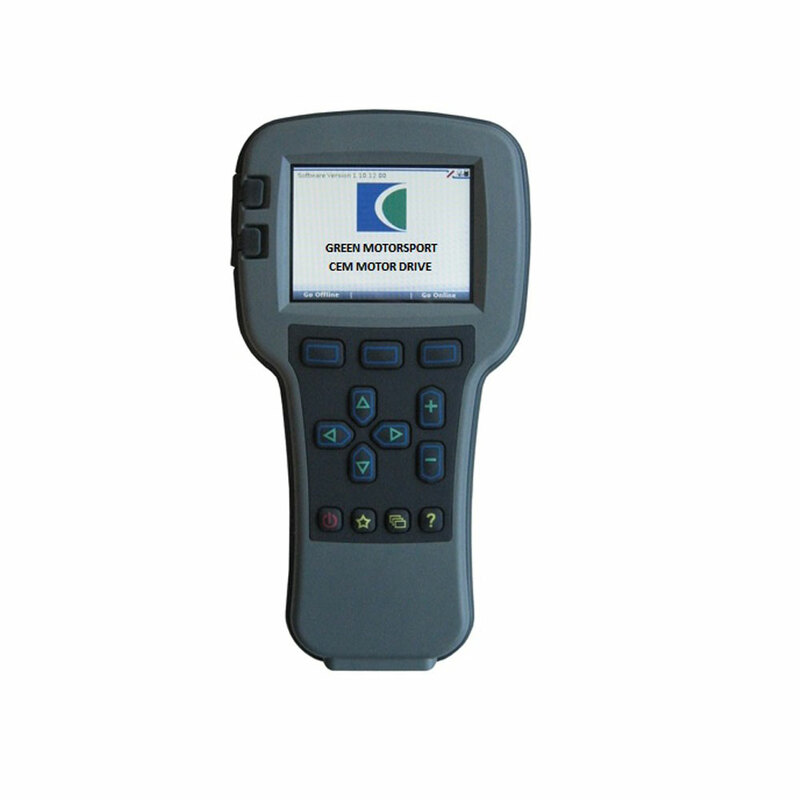 The system incorporates a fully functional battery management system and automatic plug and play charger. 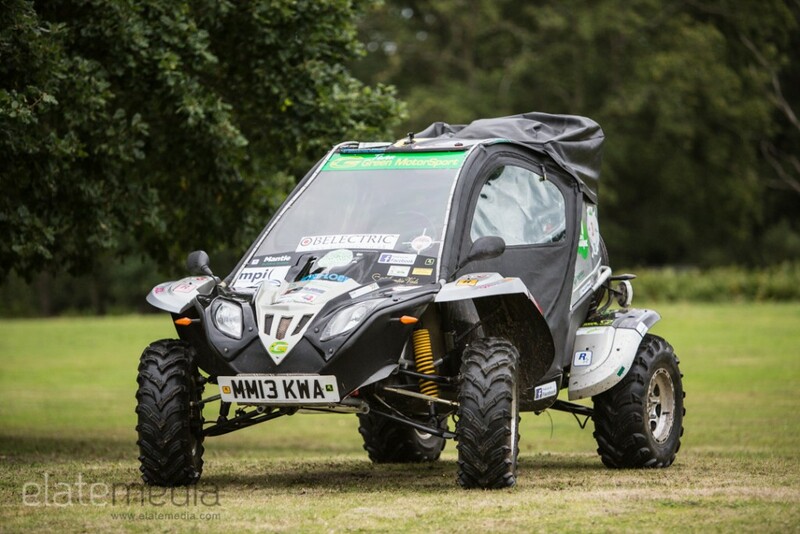 The battery system used has already been proven with the Green MotorSport WAVE trophy 2014 / 2015 buggy featured below. 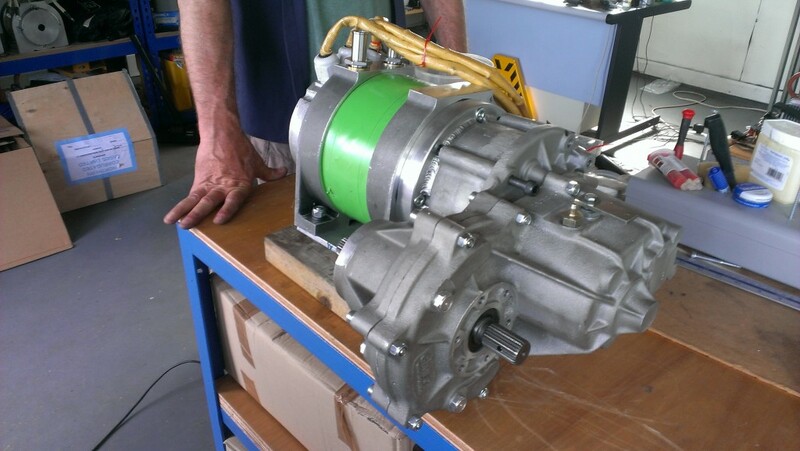 Green MotorSport’s electric motors have few moving parts and can be refurbished for long term use. In comparison, the internal combustion engine is continuously wearing out and requires constant refurbishment and replacement. The electric drive train requires little maintenance and is substantially more efficient than a typical combustion engine. Smaller, lightweight electric vehicles are already suitable for use as neighbourhood service or delivery vehicles. The Government, local authorities and businesses should utilise electric vehicles where the duty cycle is known and they could start to build up the recharging infrastructure. They could save money over the lifetime of the vehicle as maintenance is reduced and fuel costs are 1p per mile compared with around 15p for petrol. The acceleration of electric vehicles is excellent and the range is being increased to meet the requirements of car drivers. At present the average car driver covers 20 miles per day and many people use bus or rail for long distance journeys. A unified UK policy for electricity supply is essential. The battery recharging infrastructure, including facilities for fast charging, should be incorporated in the planning applications for all new building developments. While the fast charging infrastructure is being built up for electric vehicles it is recommended that there should be improved rail and bus services and better conditions for walkers and cyclists and light weight small compact vehicles that could be electric powered. The UK can aim to halve car congestion with small vehicles. If we had less traffic jams and improved driving conditions for essential car driving it would improve fuel efficiency and further cut emissions of carbon dioxide, nitrogen oxides and particulates. At present only a few people can afford the electric vehicles which are available, but the engineers at Green MotorSport have brought down the cost of their high quality drive trains. They are evaluating different battery chemistries and the technologies which are reducing the cost of battery management. Green MotorSport engineers are also assisting developers of the renewable technologies which will provide electricity and heat on site with zero emissions. 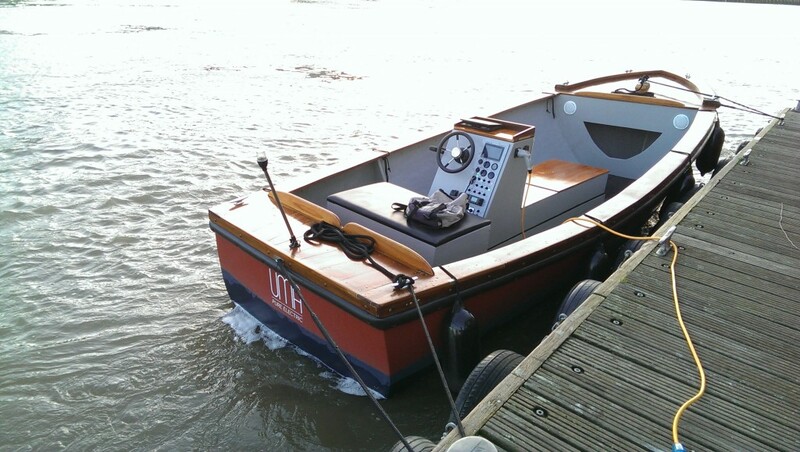 Green MotorSport and colleagues at The November Project ( Clean Marine Limited ) have completed their electric river boat called “UMA”, which will be powered by tidal and solar energy at its moorings on the Thames in London. 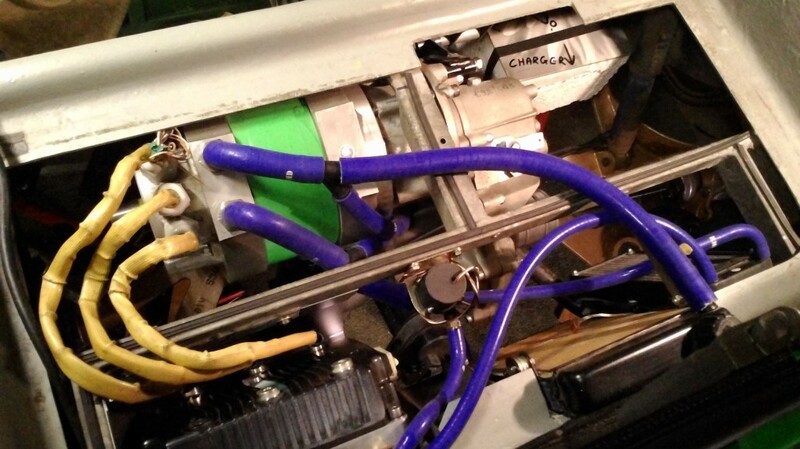 Over the next 6 months we are testing and evaluating the electric CEM motor system on UMA. 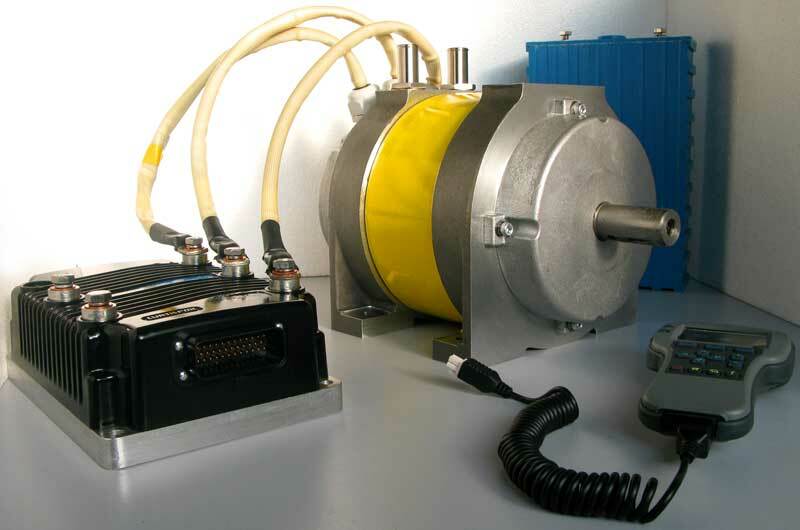 There is a huge market for electric motors, ranging from 20hp plus for marine applications. Those interested in buying an electric drive train for their boats may be given a demonstration on the boat. Alongside our advanced electric drive trains and research into lightweight durable chassis materials, we and our colleagues are developing a range of cost effective renewable energy equipment. For those with longer range requirements we are working with developers of hybrid and new fuel cell powered technologies for vehicles as well keeping up to date with new high density battery technologies. We support the Government’s backing for the development of graphene but in the meantime we should be establishing electric vehicles and their supporting infrastructures. If the price of graphene comes down to that of copper, the technology in electric vehicles could benefit from this new material. The availability of lightweight materials will in due course enable the use of solar panels on the roof of vehicles. At this year’s World Solar Challenge, nearly 50 electric vehicles powered by the sun travelled for 450 miles per day. We are pleased to announce that the Bees kept by David Parker at Green Motor Sport have settled in very well. Utilizing the peaceful surroundings and enjoying the clean air they contributed honey that allowed David to win at this year’s National Honey show second place in the ‘World Category’ for three jars of honey. We are looking forward to support David further grow the Apiary next year, taking advantage of the peaceful environment we offer! THE TIME IS NOW FOR ELECTRIC VEHICLES! Developing countries are already beginning to suffer the ill effects of climate change and many want to limit the global temperature increase to 1.5°C. Green MotorSport engineers have been working for many years to ensure that the necessary technologies are available and all that is needed now is to evaluate them and make them available for mass production. Education is fundamental if we are to change habits which have evolved during the era of cheap oil. We need to involve the younger generation, get them to speak out about their concerns.